By popular demand, we bring back the bouquet sashes. 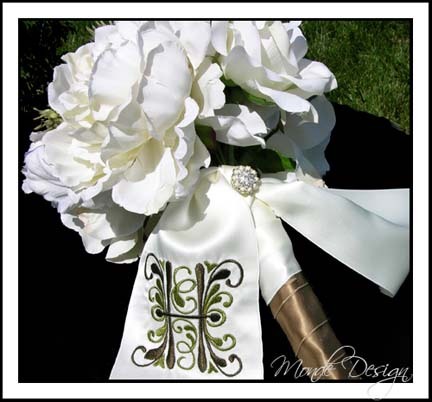 The sashes are sewn on 4" wide double faced satin ribbon, are approximately 24", 36", or 45" long, and are available in a variety of colors, and monogram styles (the white sash above is 36", lengths are approximate). Prices range from $30-40 for the standard sizes, but longer ribbons can be ordered as well, for dress sashes, door ribbons, etc. Please feel free to email for a price on the length that you would like. 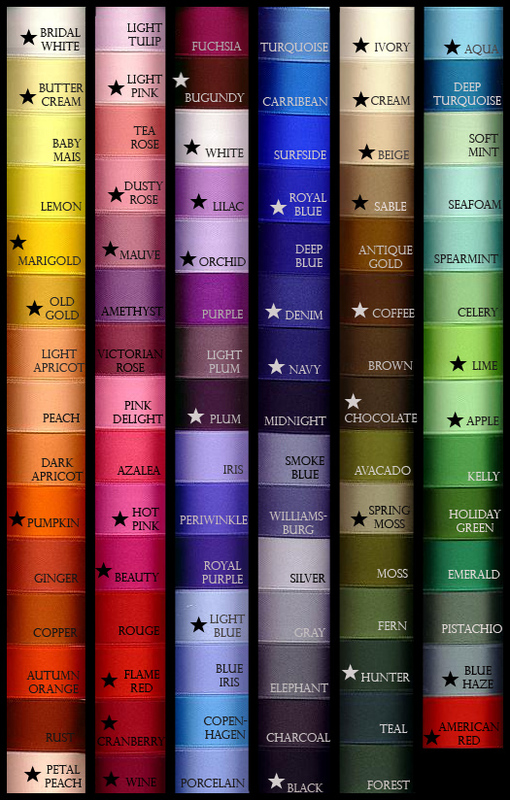 We have many colors of ribbon on hand, but not all that are shown. Some will need to be ordered once your order is placed, which can take some time. 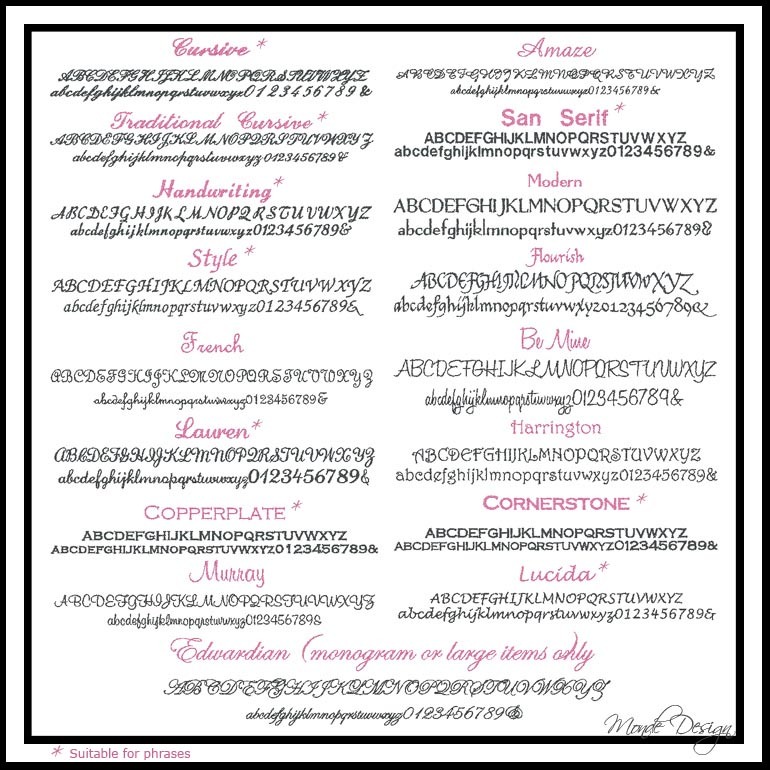 If you need your sash quickly, and want to, feel free to email before ordering to see if we have your color on hand. Embroidery color(s) can of course be done in any color! We have over 700 colors of thread on hand, and there are many, many more available! 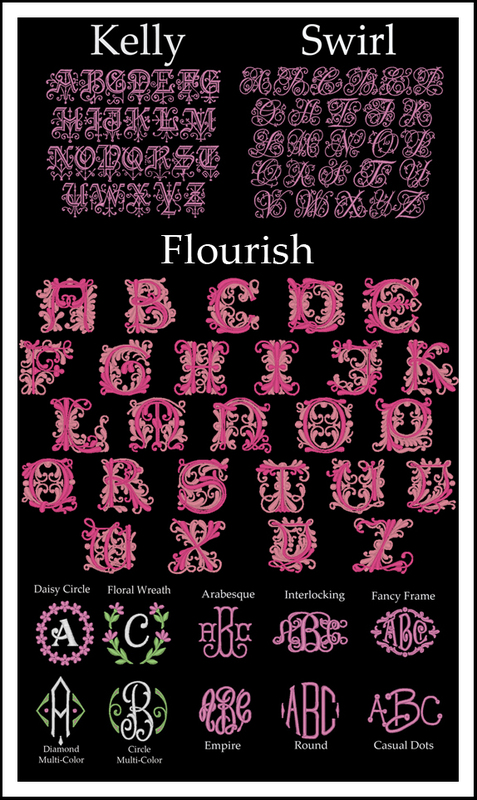 Kelly, swirl, flourish, daisy, floral, diamond, and circle fonts are single initial fonts.